and consumer connectors necessary for maximum usability. This PC has no moving parts and it is the perfect solution for harsh environments. Industrial pcs have available almost as long as the desktop version. IBM 5531 released in 1985 arguably was the first mainstream computer designed for industry heavy use, and since then they have spread more and are depended upon for a variety of industrial and commercial controlling processes and data acquisition. These systems are developed to withstand many of the harmful elements found in manufacturing industry environments. Many PCs are solid state, meaning they have no moving parts and are also referred to as fanless panel version as they have a display incorporated into the machine making it a single device. What are the benefits of using fanless panel PCs in your industry? The major reason for using a heavy duty system in an intense work environment is to manage system controls and data acquisition. These computers must be designed in a way that offers high brightness displays, the ability to withstand extreme heat or cold, and designed to operate without moving parts in compact areas. They are more reliable and expandable than those used for residences. They are designed to work continuously. 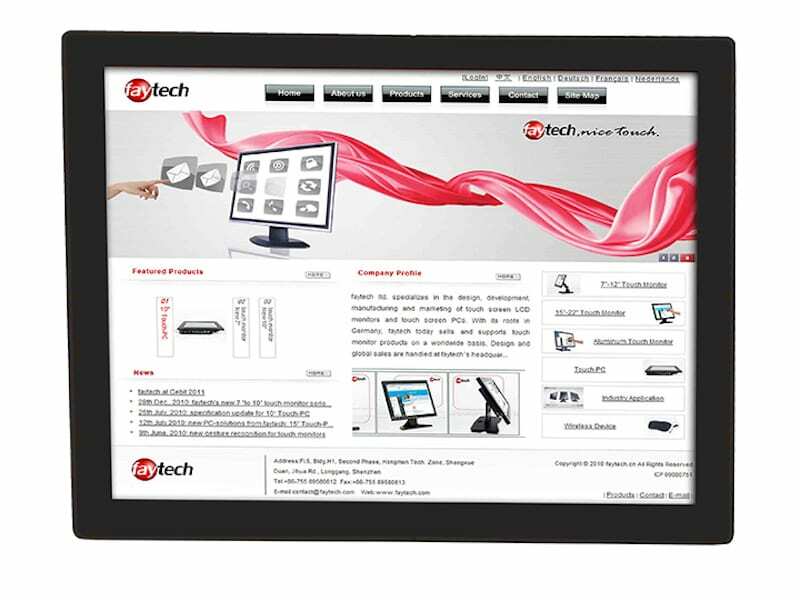 A major difference between regular consumer demand and the faytech North America industrial touch screen PC solutions is the durability factor since most of our computers will function 24/7 for potentially months if not years without stopping. Our computing solutions are encased in a computer enclosure. These compounds protect the standard PC from the harmful elements in the worst environment including dust, water, extreme light, heat, cold, physical impact and in general extreme environments meaning that these systems can be depended upon to function where a standard machine cannot. Environments that demand an industrial-grade solution require intense computing solutions. 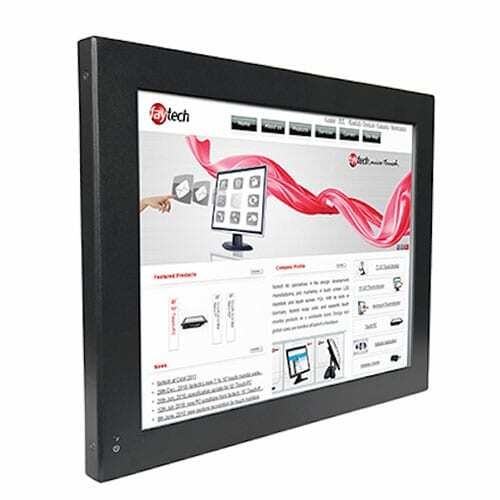 A faytech North America industry panel system is designed so that the display, or monitor, is a part of the same enclosure with the motherboard and other parts. Our solution comes in a variety of sizes and is created with intense usage in mind. These are many distinct advantages of using rugged embedded computer systems. The systems are small in size and consume less power as compared to the general purpose systems. The touch sensing display interface reduces space and external accessories. Our systems work perfectly under very harsh conditions. These systems can be mounted using wall mount brackets for automation control applications and have the front bezel and an integrated touch panel for quick, seamless input. This is the reason why these systems have been efficiently used in heavy-duty-industry, automotive, life-critical systems, medical environments, and commercial settings as well as military applications. It is not uncommon for industries involving transportation, communication, electrical, electronic, mining, security, aviation, and modern laboratory systems use our computer systems because of their reliability, streamlined interface, and durability. 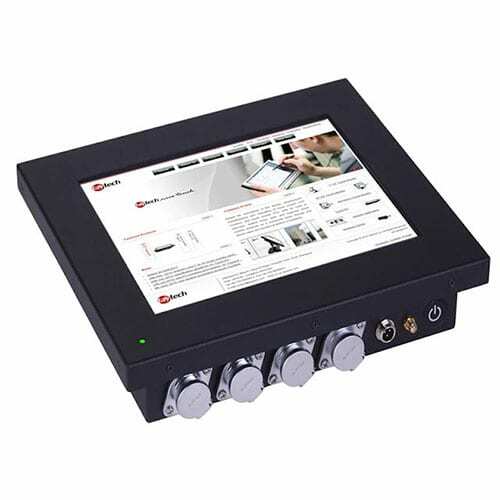 Touch screen desktops are very common among manufacturing industry too as they contact an input and output device in one unit and are far more reliable in extreme environments than any consumer PC. There are, however, drawbacks in using them is that they are often solid state cannot be repaired or upgraded by users. If the device goes down often whatever process the computer was controlling has to be stopped until a service engineer arrives to fix the problem. With this in mind, the faytech North America all-in-one systems are manufactured using high-quality components that have fewer chances of expensive breakdowns that cause system, performance and production stalls. If you need a durable, industrial fanless touch solution that will push you to the top of your industry in terms of performance, cost savings and reliability, then contact us today. Speak with one of our touch panel experts and we can help you discover the best solution for your specific industry.